At 8:58 a.m. on Tuesday, Belmont Police responded to reports of a car accident at Belmont Street and Newton Street. The incident involved a 2011 BMW, whose driver was a female resident of Belmont. The female driver hit a man on a bicycle; the man was also a Belmont resident. His left leg sustained injuries in the accident. According to the victim, the woman driving the BMW did not stop for him while she was trying to turn left toward Langdon Avenue. She ran into him as she was driving on Belmont Street. The man was taken to Mount Auburn Hospital. The woman states the man was not visible to her when she attempted her turn in Watertown. The responsibility for safety of bicyclists in our roadways rests mostly with the driver. This is especially heightened when there is a child riding the bike. The bicycle rider must, of course, also exercise care toward drivers. In car-bicycle collisions there is more likelihood that both parties will be deemed partially at fault. It is a unique accident scenario. This means that both parties will have evidence against them that they were acting negligently. The injured party, however, can still recover. The damages award will just be reduced. 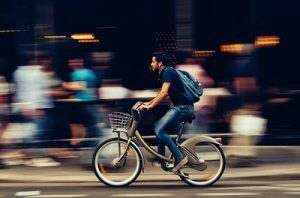 If you have been injured in a car-bicycle collision it is important to have the experienced Massachusetts personal injury attorney of the Law Offices of Jeffrey S. Glassman on your side. Call now at (617) 367-2900 to tell us your story.